Welcome to our page and congratulations on owning one of the best smartphones from Samsung. We understand that you love this phone – so do we! This is exactly why we want to make sure that you’re enjoying the best user experience you possibly can. For whenever this is not possible due to fatal errors, lags and system failures, we will show you how to hard reset the Samsung Galaxy Ace Plus S7500. As I’m sure that you already know, this is a common procedure that one can initiate by him or herself. It can be done at home, and it is typical to other technical devices, in all cases doing something as simple as reinstalling the original OS and deleting all data. This way, you can get rid of the viruses and the problems caused by them in only a few minutes. Before we move further on and talk about the way to do this, it is important to spend some time getting to know this device. One of its most important features is the Gingerbread version of Android it uses which is planned to soon upgrade to Jelly Bean. 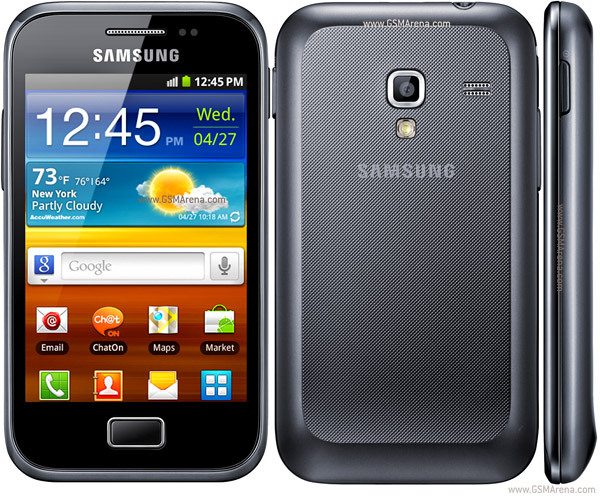 Apart from that, the S7500 comes with a Qualcomm chipset and a 1 GHz processor. The BT v3.0 and Wi-Fi hotspot will allow users to enjoy high quality connectivity while the 5 MP camera is great for taking photos. You will also be able to record 480@30fps videos, although you might not be extremely pleased with their quality. Given that there is no frontal camera on the device, it cannot be used for video-chat purchases. Not any different from other Galaxy models from Samsung, this device can also be reset by using simple, do-it-yourself kind of procedures. Before you think about following our steps, though, please bear in mind that it is your responsibility to back all data up so that you don’t lose important photos, music, videos and so on. When the phone is block, press Power and hold. Wait for the device to switch off and take the lid off. Remove the battery from its slot and wait for 30 secs. Place this one back and turn the phone on. Switch the phone off and press Power & Home & both Volume keys. Hold until the phone switches on and wait for the menu to load. Scroll with Volume Down until you see Wipe Data and press Home. Use the same keys to select Yes and allow for the following menu to pop up. Press the Home key once more and the device will reboot. As you can calculate by watching this Youtube video, the procedure itself normally takes about 2 minutes. However, depending on the amount of data there is to erase, how strong the virus is and how old the phone is, it can take as long as 5 minutes. Once this is over, the phone will restart, and you can then use the backup to restore your files. Copyright © 2017 Hard-Resets.com. All Rights Reserved.